As many of the regular Wednesday evening training participants will know, we are trying to continue the sessions by moving down to Barnfields Industrial Estate. 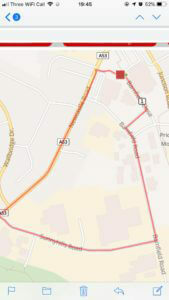 The chosen route has been measured pretty accurately to 1.66K per lap, therefore three laps would be 5K or thereabouts. Obviously no one is required to do the full three laps and can choose whatever distance they want and time themselves accordingly. Steve will be organising this first event in the absence of Brian and is willing to pace along with any slower ladies. The meeting place will be adjacent to the bottle bank to the right of Morrison’s store entrance for a 6pm start; the route traversing in an anti-clockwise direction out of the car park and down Newcastle Road. Please wear appropriate clothing with some sort of reflective attire or attachment. The route is fairly well lit but it may be wise to carry or wear some sort of torch, especially after the clocks go back. As you probably know, BPRC is always trying to improve. One of the next stages of our development is to use RFID or ‘chip timing’ to better record your time and to reduce the number of officials needed at each event. Only one problem: The system will cost around £3,500!! an amount we cannot easily afford. So we need to do some fundraising. After weighing up some options, we have registered with easyfundraising where you can earn money for us by shopping online. All you need to do is sign up to donate to us on the link below, then shop online via the site. A ‘Donation Reminder’ button can be downloaded to your browser making it really easy. Over 3,300 big name retailers are included, such as Amazon, Argos, John Lewis, ASOS, eBay, Boden and M&S. Please note: there is no additional charge to you on the purchases you make, the retailer donates a little money to us when you buy. A little thank you for your custom. The key to it is to get as many people signed up and using it when they shop online. Please spread the word! Yesterday’s 3rd Birthday Bash wouldn’t be complete without a picture of the delicious cakes baked, once again, by Deb Knowles. Thanks – everyone who managed to grab one commented on how nice they were. Our Couch to 5K 3rd anniversary, complete with cakes and celebrations, is getting nearer – Saturday the 15th September 2018. We will be holding an additional, Killer 10K challenge for those hardy enough to take the tough route on, in addition to the regular 5 distances; all commencing at 9am. The 10K will be held over the same course as it has followed on previous occasions, with marshals at the most strategic points. There is no separate registration, just the need to declare your intentions to an official before the off. However, we require 5 or so volunteers to marshal the route; they will be able to set themselves down on a park bench or seat, if they so wish, as they wait for and guide the entrants along the additional loops in the regular course, and wait for the rear-guard to pass that position, after the 3rd lap. Furthermore, for anyone, especially those entrants that don’t know the route, there will be a guided tour/training session on Thursday 6th, at 6pm. Meet outside the leisure centre, after which a slow paced leader will guide the newbies around, at least the first lap. Others, who know the route can go ahead and anyone can drop out after a lap or two; feel free to time yourselves. If they can do it, so could you? There will be the usual five distances in the Couch to 5K events on Saturday the 15th September 2018; however, as this is the 3rd anniversary date after the commencement of the project in 2015, we will be holding an additional 10K challenge for those hardy enough to take the tough route on. It will be held over the same course as it has followed on previous occasions, with marshals at the most strategic points. pic’ A quartet of jubilant finishers of a previous 10K. BPRC Fun-Run on Sunday 19/08 @ ⏱; enjoyed by one and all, old and young with lots of fun ‍♂️ 露‍♀️ ‍♀️   ‍♀️ 露‍♀️ ‍♂️and all  with recorded times. What can be said about our little event, other than, all the effort and preparation was more than worthwhile, and we would like to thank all the parents and the youngsters for turning out for the first ever Brough Park 1 or 2 mile Fun Run; an event that will no doubt carry on and expand over the forthcoming years. A special thanks go out to two of our regulars; Dawn Brown for acting as rear guard and Jack Bray for guiding all whom followed a good distance from front-runner, Harry Bond, around the new route. Marie Phillips for the photographs, Kathryn Smith, Sam Goldstraw, Rebecca Hinton, Lisa Bond, Steve Massey, Richard and Rebecca Dodd, Dawn Brown, Karl Birch, Kate Salt, Sharron and Mike Turner with GB representative Jason Burgess also helping out by marshalling, and Leek Leisure Centre for providing facilities along with Friends of Brough Park for their refreshments and entertainment. 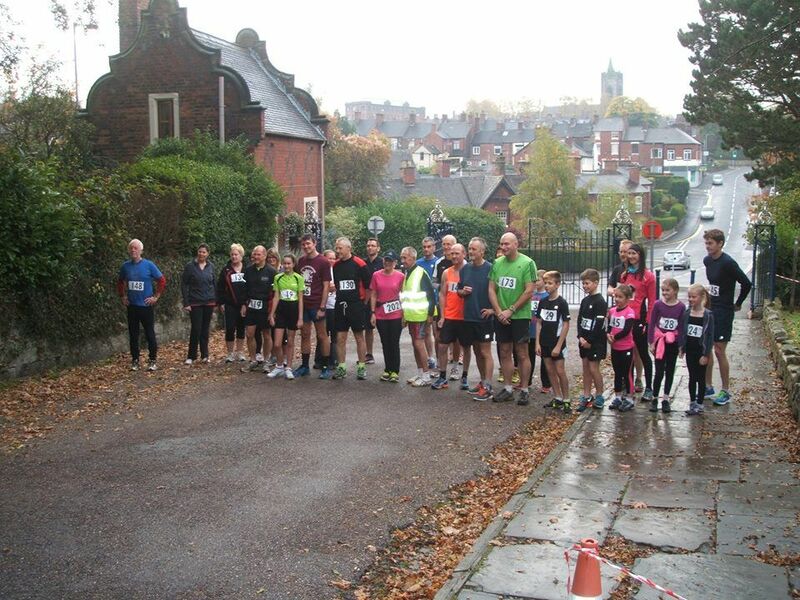 Thanks also go to the organisers and finish recorders of Leek Half Marathon. There were a few endearing words from Rebecca Hinton when she was thanked for helping, ‘It was a pleasure, it’s a community event and we should all be willing to pay something back’. BPRC Fun-Run on Sunday 19/08 @ ⏱; enjoy and have fun ‍♂️ 露‍♀️ ‍♀️   ‍♀️ 露‍♀️ ‍♂️and Finish   ? Here’s an update for all interested, parties from Brough Park Running Club. Firstly, don’t forget we’re still organising all five distances for all ages in the Saturday Couch to 5K. However, preparations for Sunday’s one or two mile Fun Run to coincide with the Leek Half – possibly only 10 mile, due to ongoing closure of Roaches Road – are well underway. We’re overwhelmed and privileged to have so many offers of help from regular participants and family members, and have accepted everyone; all of whom will be informed in advance of their roll. As previously posted, the route is different to our usual one and covers other grassed areas in additional to the one we have, and includes the ‘hill’ on each circuit of an optional one or two lap distance. There will be a lead runner-guide to draw the others around a well signposted and marshalled route; in addition to a sweep/follower. There is an entry fee of £3.00 per person and registration takes place on the day, prior to the start at 10.10, in or outside the leisure centre; with volunteers collating the entries. The start will be by the main tennis court and skate park; with all finishers receiving a bespoke medal. 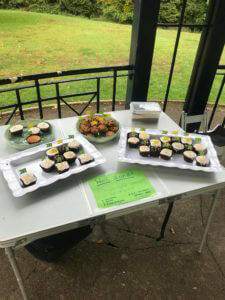 Friends of Brough Park will be serving refreshments from pavilion 2, adjacent to our store, from 10am – please support them by popping in to purchase refreshments. Rick Ford, the musician who played last year, will be providing music entertainment at the band stand. So! When you go past the band stand give him a wave and cheer. Let’s hope the weather is better than the last Sunday’s. Start @ ⏱and have fun ‍♂️ 露‍♀️ ‍♀️   ‍♀️ 露‍♀️ ‍♂️and Finish   ? Congratulations to Jason Burgess for adding – this lunchtime in Denmark – the Vet European Crown to the World Title, he won in Autumn last year, for Extreme Endurance and Obstacle Course Racing (OCR). HI, to all our members and followers. This week is one of the most hectic of all for our members, with many attending the Showground Relays and the continuation of the local club’s Summer Series, the following evening. We wish you all well, whatever your challenge, and offer this poem by way of a humourous boost. Legs don’t run – minds do! Brough Park Running Club helps you keep on track. Thank you all for coming to the relays that were a great success. Linking up with Staffs Moorlands AC, everyone came together to show that running does not have to be a solo effort; it can be a team sport. Before and throughout the event we all: bonded well, inspired and supported each other, gave it our best and found new friends. It was an absolute pleasure for us to organise. P.S. We will also be going to the Showground Relays on the 13th June – we have several teams so far. It’s out! The summer series list for 2018. There are eight venues in the series this year, they are; Tittlesworth (7/6), Buxton (14/6), Shutlingsloe (21/6), The Roaches (28/6), Rudyard Lake (5/7), Biddulph Grange (12/7), Oakamoor (19/7) and Cricket Club (2/8). All the events are from 3-6 miles long, mostly/all off-road and take place in the most amazing local scenery. Additionally, there are junior and mini races available; check the link for details. 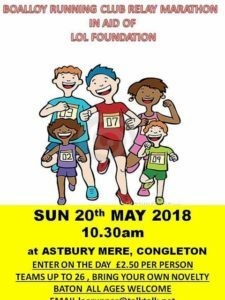 Marathon Relay Challenge – Sunday 20th May, 10.30am. If you are interested in either/both events simply let Brian or Steve know, then closer towards the dates we can look into organising things further, such as car sharing etc. BPRC. Thanks to everyone who found the time to sponsor Steve and Brian in a tiring task of counting their steps within the park last Saturday – obviously it was done via the amazing technology of a digital phone app. Surprisingly, especially to them both, they only strode 15,398 in total, with the nearest guess being 15,000 which was made by Leah Finey, who has kindly donated her winnings to the Sport Relief charity, making the grand total raised £76.00. Once all the sponsor money is collected in it will be paid into their account. As we published earlier; we are hoping that some of our members will support Sport Relief 2018 by getting sponsored for their efforts on Saturday the 17th March. The exact mode of sponsorship is of your own choosing; however, we will be in full support as your friends and family will be. To aid anyone in this matter we will have a number of duplicated sponsor forms available for collection at the finish line tomorrow; anyone who can’t make it can request one through our Facebook or website. In addition, official Sport Relief merchandise, such as T shirts, wrist bands, badges, socks and water bottles, and many other items, can be purchased from Sainsbury’s. An app can be downloaded to any smart phone to track your steps form the 17th to the 23rd March. Get all the family involved and challenge mum and dad, or they challenge you, to see who is the most active over the week. An update on behalf of all our readers. Once again we’re about to restart our fitness campaign after the worst winter – weather wise – participants in the Couch to 5K have had to endure; interruptions in our calendar have been unprecedented and it will be the second weekend of March before we can begin to forge ahead. However, we can look forward after we put a few things in order and give an update for the immediate future. There are a few events lined up for the first half of the year. We anticipate trying out a few new things. There is a request aimed at the younger members to help us make things ‘run’ a little more smoothly. Another request, this time for volunteers of a different kind to usual. ‍Firstly a request or requests, which the parents can help us with. Could you ensure your child wears their number, or know it off-by-heart, or as a last resort, have it written on their wrist. You may think this is a foolish or trivial request? Unfortunately we have continual recording problems, as some youngsters cannot remember their number or give us the wrong one, which sometimes belongs to their siblings or parents. Secondly, could you ask them to stop ducking under the tape after the finish and move forwards to have their number and distance recorded. 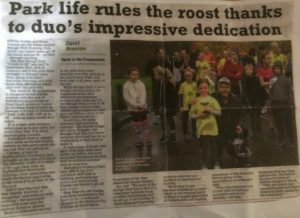 Once again we will be featuring in the Leek Life Magazine; within the promotional article there will be a slot for two or three paragraphs based on entrants experience on how they joined the event and got fitter. For this we would like you to pen your thoughts and forward them to us, so we can choose a couple to appear in the prose. In addition, all material will be posted within our on-line media. 1️⃣Wednesday night training will re-commence on 28th March at 6pm. 2️⃣Prior to that, on Saturday the 17th, we are hoping to support Sport Relief by asking entrants to raise funds by getting sponsored to run; perhaps in fancy dress or consider taking part over a longer distance than usual. You can download the Comic Relief app to any smart phone to add your steps to the billion a day they hope to complete from the 17th – 24th March. 4️⃣There will be a guess your finish time competition in early May. In the near future we will be marking direction markers on certain parts of the route. The barrier tape at the finish will be increased to try and guide youngsters. ⌛Hopefully, there will be a race time clock at the finish. There will be a trial of a new timing method, possibly incorporating an RFiD timing device. With reference to the attached Sport in the Community nomination. We would like to thank Joanne Hackett for nominating us both for the Sport in the Community category at the Sentinel/City of Stoke-on-Trent Sports Personality of the Year Awards. Without seeming nonchalant in this matter, neither of us seek to be put on a pedestal for providing our time to organise the events within Brough Park. 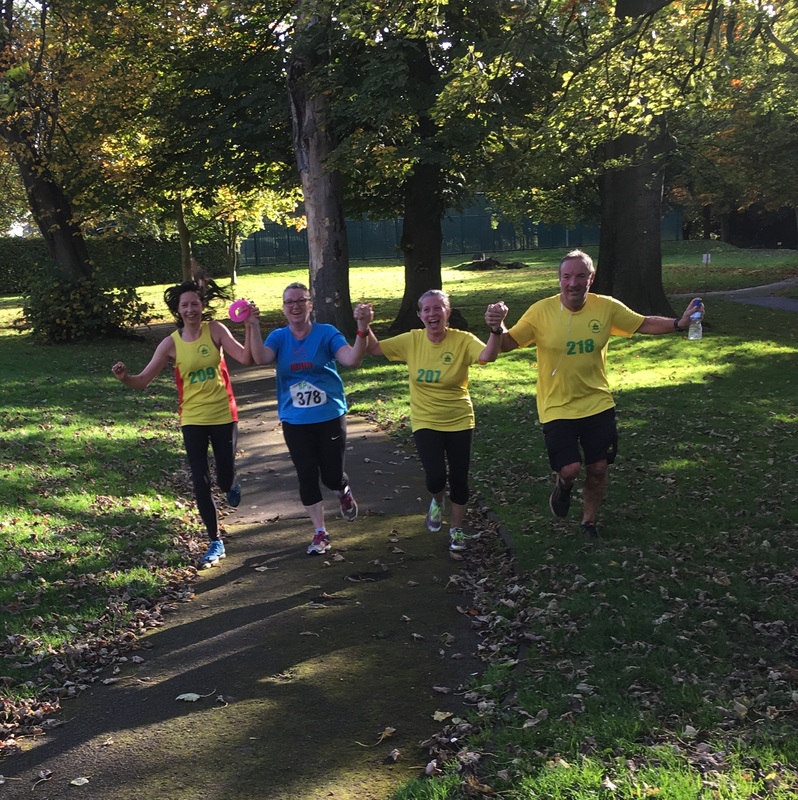 We originally joined forces to put together a 5K style run in the park; however, we soon saw an opportunity to extend that to what it is now and always has been – a Couch to 5K fitness opportunity. We are pleased that so many people, whole families, of all ages and fitness have walked/plodded/run in one or more of the distances; but remain disappointed that many have not returned after one or a couple of attendances. Whether it’s the terrain and those ‘terribly steep’ hills/slopes that put them off, or the 1400m laps, we may never know? We have what we have, after all the route has been tinkered with – three times – and it will now remain as it is. Fortunately we have the sound, reliable backing of Sam Goldstraw and Rachel Massey; on occasions accompanied by their other halves, with others stepping into the breach, whenever asked. The extensive and informative piece in the Sentinel newspaper is good publicity and bodes well for attracting more entrants; in addition to the coverage given by the Leek Post and Times who further promote the events along with our more localised web site and Facebook page. One day we may make the headlines for all the right reasons? For now, we thank Jo for her time, and appreciate the forethought in the nomination; in addition to all those who have made supporting comments to a previous post on this subject. 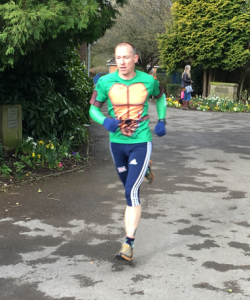 As there is no major event-write-up this week, there is an opportunity to reflect on why people come along to our special, some-what-unique, Couch to 5K. There are those who come along for the physical activity; challenging themselves or their peers in their own way; others are just trying to attain, or maintain, a level of fitness. A few from the above category have progressed and found success within the local athletics club. There are some who suffer from stress, mentally and/or physically; numerous entrants have revealed how running and walking clears their mind and relieves them from the pressures of work, in addition to relieving problems of a mental, emotional or tension related disorder; coupled with the stress and strains of everyday life – at least for a while. Running and walking helps them get away from some stress, and providing down-time for reflection. It makes them calmer and elevates their mood; motivating them to not only train to run and progress, but also freshens them up to tackle other things in life. It is able to boost confidence; some people have lost weight, obviously aiding them to become physically fitter, while others have become more upbeat. 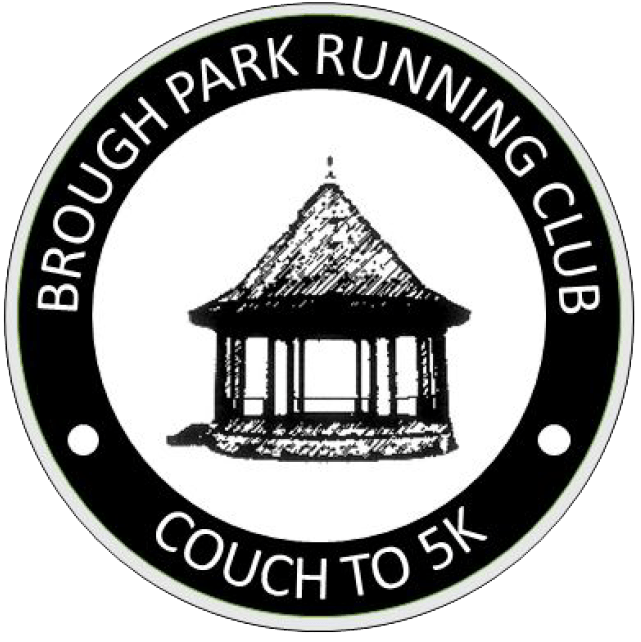 A personal Couch to 5K programme, and the one within Brough Park is a proven way forward. At our event, new-comers are encouraged to start off on their path to fitness by training through a run and walk programme to get them back to functioning well, making them feel happy again following their achievements. The social aspect helps in many ways; joining friends to do something active early on a Saturday morning before, perhaps, tackling the weekly shop. There’s pleasure to be gained from attending as a family unit; unfortunately there isn’t a measurement to gauge how much family life is enhanced, or even how many friends are made throughout the events. However, lots of people have bonded, having never seen one another before an event within the park. The world around us is changing and it’s far too easy to be a defeatist and stay at home sat on that couch; munching away at greasy bacon butty or dipping a sugary biscuit into a cuppa. There are runners and walkers at the rear end of the mass who get just as much pleasure out of achieving their goal as the ones who regularly head the pack. All are encouraged in the same way; many seem to be enhanced by the like-minded enthusiasm of others around them. Our event has succumbed to the weather far too often this winter; so make an extra effort to contact a colleague or friend to reinvigorate them, boost their esteem, remind them of the long forgotten, resolution to get out there once again. It’s not all about pace but, more about participation – regularly. 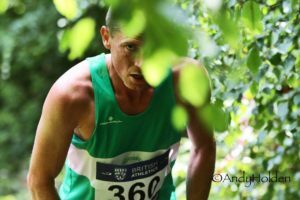 We’re not going to nominate him for our pic’ of the week as we did on the previous occasion for one of our other members, who won the M40 category in the West Midland Orienteering Championships. Why? We think many of you are able to build up and progress onwards to challenges other than our little event; however, taking up the attributes required of an Extreme Endurance Obstacle Racer is another matter. Therefore we’re more than happy and proud to give him the thumbs up on our page. Once again ‘Well done’ – Jason. As, has been muted on many previous occasions, we’re not so much a club but, rather a Couch to 5K, progressive event or events. As we are coming up to our 100th event, there are few whom toed that first-event line that remain with us today. Why others have not returned afterwards, remains a mystery? Nevertheless, what does the future hold for our members and future members? We are introducing a new distance for those wishing to take that big step from their couch to the line, be it the start line or the chosen finish line, an introductory distance of 800 metre – equivalent of twice around the Birchall running track. Why are we doing this? Mainly to encourage people to participate. There are less than a handful who have followed the paths from 1.5K to 5K; the first one was Dawn Brown and the latest is Richard Dodd – albeit on a training night. Others have joined at a longer distance and progressed through to 5K. We wish to encourage more to do the same, hopefully there will be, in the very near future; therefore by enlisting this shorter distance into our library, we’re hoping to entice others to add their own chapters into our book of progress. In addition, at the 100th event, we are inviting old and new, senior members to take part in a 10K challenge over a tough course. It consists of the usual three, 5K laps plus three loops on each lap to make up the distance. Please enquire about the route, which may be traversed beforehand, either on a training night or at your leisure. As you are probably aware, we have recently culled the membership of people whose registration has expired and have not ran with us for some time. This is to save on our insurance, and to make sure that everyone still running is insured. 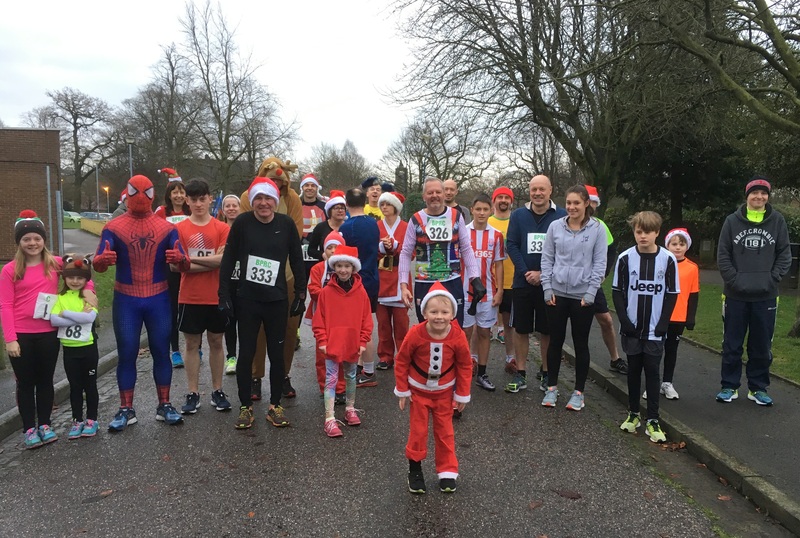 To re-register, you can either pay an official at one of our events or online via: https://broughparkrunningclub.co.uk/?page_id=5174. If you are unsure if you need to re-register, you can check the Google Sheet on our website via: https://broughparkrunningclub.co.uk/?page_id=3499, alternatively, message us or ask an official at any of our events. The 6pm Wednesday training run is back up and running. As Saturdays, you will be timed for running any of distances from: 1.5K, 2.2K and 3.6K to 5K but, as there is a slight course change, week on week progress will not be recorded. The first ever Leek and Moorland Colour run takes place in Brough Park on Sunday, May 14th. Details can be found here: https://www.eventbrite.co.uk/e/colour-fall-dash-2017-ticket…. There are nearly 200 people already signed up who will be running over a different route to ours. Also, we are informed that the organisers are looking for volunteers to help out on the day, even people to throw paint on the runners. So, if you want to volunteer, message us and we’ll pass your details on. To celebrate 15 years of twinning between Leek and Este, the twinning committee will be inviting our Italian friends over in July to celebrate this friendship. 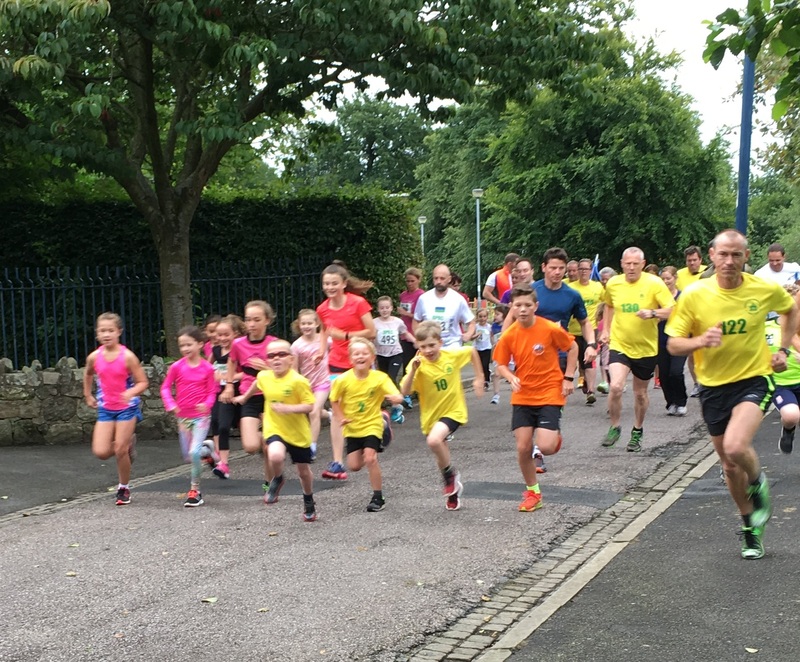 This weekend will take place on the 27th July to 1st August and there will be various activities the guests to take part in, possibly including Brough Park Run. The committee would like to know if you would like to host guests from Este. There’s no obligation to do so, the committee prefers hosting to B&B accommodation. If you are interested, or have further questions, see the contact details on http://www.leektowncouncil.gov.uk/twinning for more information. A community leader has invested in a ‘Couch to 5k’ programme which encourages the people in the district to become more active and fitter. 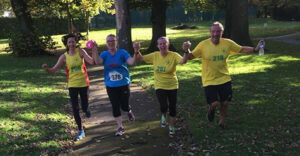 The thriving Brough Park Running Club gives people the opportunity to get off the couch and into running in the pleasant, traffic free parkland of Brough Park, Leek. The events take place every Saturday at 9am, all for an annual insurance fee of just £3. Almost anyone, both senior and junior, can take part in a timed running event, building through a variety of distances: 1.5k, 2.2k and 3.6k to 5k over as many weeks as they see fit. The club also caters for individuals, families, workmates and club runners of all ages and abilities. County Councillor, Charlotte Atkins, has donated £250 to the club out of her share of the authorities Councillors’ Communities Initiative Fund. The cash will be used towards a tablet, new signage, trophies and more. To celebrate the occasion there was a one-off special event in which individuals predicted their finish time over their chosen distance, which was recorded and matched against the official time; both junior and senior, who guessed closest to their time will receive a prize of a club technical running T-shirt. The junior competition was won by five year old William Dodd, with a guess of just 4 seconds longer than his finish time of 13.13. For the seniors, Martin Pigott was closest with a guess of just 6 seconds longer than his finish of 23.39. For more information about Brough Park Running Club, please see their website at www.broughparkrunningclub.co.uk or www.facebook.com/broughparkrun. 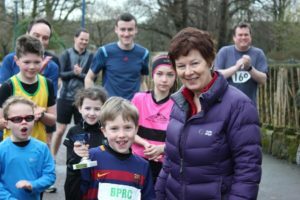 County Councillor, Charlotte Atkins at the race start along with some of the entrants, including seven year old Edward Dodd who was presented with a trophy prior to participation in his 50th event. Jason had managed to win three of the events, at Nottingham, Manchester & Edinburgh, against the best obstacle racers in the country, competing in the open male category and challenging contestants half his age rather than the v40 category in which he is entitled, but was unable to follow up his previous achievements in the last event and missed out on a podium position. 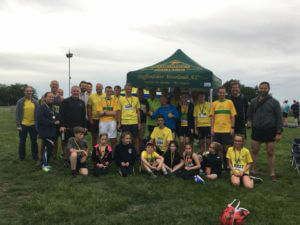 Brough Park Running Club has had its first birthday, and many things have changed since the first run way back on September 12th last year. However, we haven’t rested on our success! Since the early days we have changed the routes and the distances; a marked improvement and accepted by all, especially those who court a challenge; in addition to hosting a Wednesday training stint. We may have over 330 registered to the club but, as you will know, only a small number of those turn out each week and there is room for more. 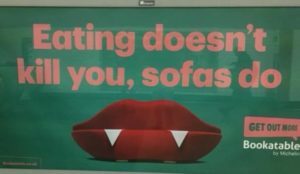 There’s a new poster out there. We are now getting a regular sports write up, in both Leek and Cheadle Post and Times, in addition to the Congleton and Biddulph Chronicle. Steve, with the assistance of club member, Richard Dodd, have designed a web site, which will run alongside of our Facebook page; it’s up and running www.broughparkrunningclub.co.uk. There will soon be a – business type – BPRC card to pass around. Last but not least, we are using Steve’s newly designed logo as the new ‘face’ of BPRC; the logo can/will be used on running vests, hoodies and T shirts, which will be available to order at prearranged supplier. The artwork for the logo can be viewed on our page or at the shop, and your individual choice catered for, with or without your run-registration number, in any of the coloured logo designs you choose, on to any colour of item you request. Phone a friend, tell a work colleague or neighbour about the events. Print off the poster and/or the flyer; put the poster up at work and pass on the flyer. Thanks to them and you: Brian and Steve. The Logo is here. You may need Illustrator to open it.